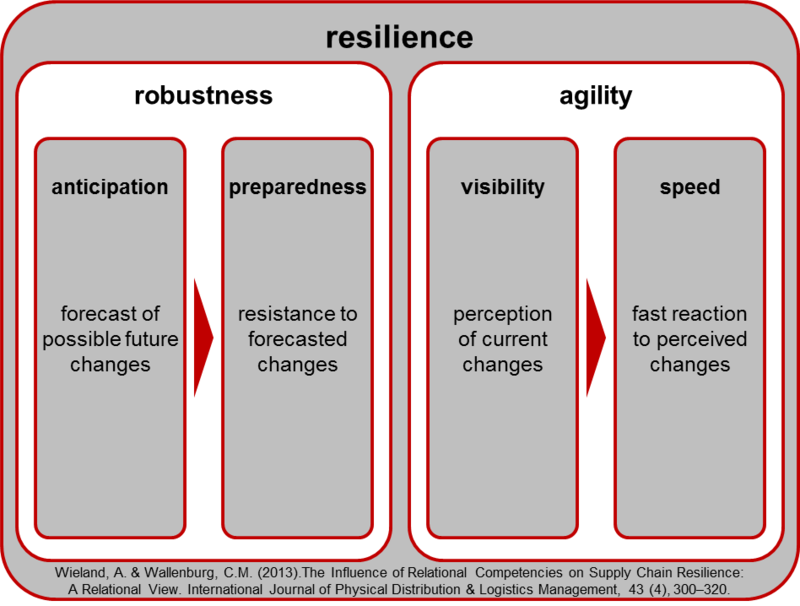 Two ingredients are needed to create supply chain resilience (Wieland & Wallenburg, 2013): robustness, which is proactive, and agility, which is reactive. Robustness builds on anticipation “to gain knowledge about potential changes that might occur in the future” and preparedness “to maintain a stable situation”. Agility builds on visibility “to gain knowledge about actual changes that are currently occurring” and speed “to get back to a stable situation”. That does a supply chain risk researcher’s heart good: MIT Sloan Management Review has recently published two interesting case studies about the interface between risk and supply chain management. First, in the magazine’s spring issue, Chopra and Sodhi call attention to a dilemma faced by most managers: “Solutions to reduce risk mean little unless they are evaluated against their impact on cost efficiency”. To protect supply chains from disruptions anyway, the authors suggest two strategies: (1) segmenting the supply chain and (2) regionalizing the supply chain. Second, in the summer issue, Sáenz and Revilla present a five-step process started by Cisco shortly after a major risk event: (1) identify strategic priorities, (2) map the vulnerabilities of the supply chain design, (3) integrate risk awareness into the product and the value chain, (4) monitor resiliency, and (5) watch for events. Both articles complement each other very well and give a quick entry into the area of supply chain risk and resilience.